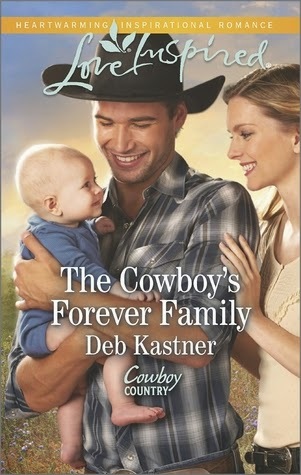 Widowed and pregnant, Laney Beckett wants nothing to do with stubborn rodeo cowboy Slade McKenna. But avoiding her late husband's best friend is nearly impossible now that Slade thinks Laney and her baby need his protection. Though Slade figures he's too rough a man to settle down, his thrill-seeking ways have already cost him his childhood pal. Looking out for the man's wife and child is the least he can do, especially when headstrong Laney doesn't know the first thing about running the family's ranch. For the sake of baby Beckett, Laney and Slade give friendship a chance... but could they become a true family? I enjoyed reading this sweet book about forgiveness and second chances. Although the grudges Laney and Slade had for each other dissolved rather quickly and their new-found friendship moved rapidly to romance after that, the strength of the characters in the aftermath of grief and mourning is admirable. I especially enjoyed the setting of the ranch.